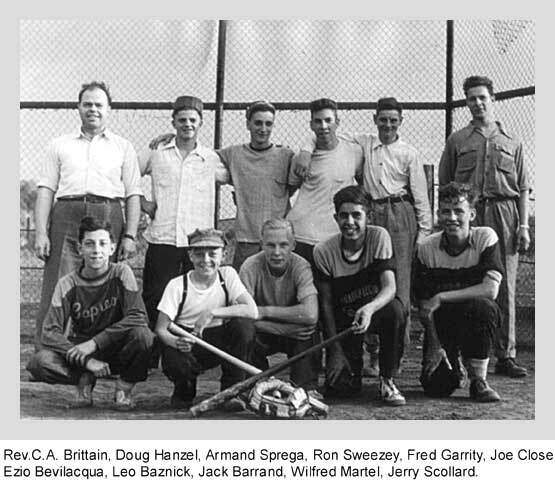 I thought you'd enjoy this photo of a Capreol Ball Team, I'm guessing 1949-50. Names were provided by my mother Joyce (she never forgets a face). With my trustymagnifying glass I found Ezio Bevilacqua wearing a Capreol jersey; on Wilfred Martel's jersey (same as Jerry Scollard) I could pickout Canadian Legion on the top line; partial word on bottom line -Cap.... I can send another pic. without the names if you want.